There is a person in our life who, for many of us, is a constant presence. This individual would be our dentist, a person we see more often than our primary care provider and who is responsible for the oral health of our entire family. This comes as no surprise since our dentist stands guard against unexpected dental issues, catching cavities before they advance enough to become a problem and correcting poor dental habits by drawing our attention to them. The job being done by our family dentist is that of a General Dentist, and they serve as one of the primary care providers of oral health care for people of all ages. 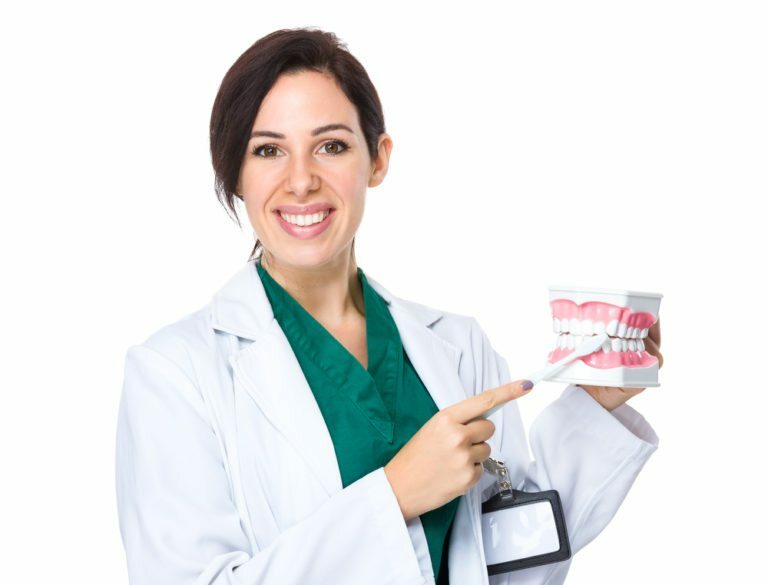 During your visits, they will provide a routine examination that covers every aspect of your mouth, from teeth and gums to your tongue and more. This is followed by a thorough professional cleaning to aid in the prevention of gum disease and will then discuss their findings with you to help prepare you for improved oral health in the six months to come. What Services Do General Dentists Provide? Preventive Services – Maintaining good dental health requires catching disease before it takes root. Their routine exams (along with radiographic services like x-rays and other diagnostic images) combine with their expert cleanings to create a bulwark against gum diseases like gingivitis. Following these treatments, they’ll take note of where you’re falling short in your hygiene and will tell you how to correct it to prevent oral health issues. Restorative Services – We all slip sometimes, or maybe you suffered an injury to your mouth that requires you to have some restorative services done. In most cases this will be a simple filling or crown, but in more advanced cases restructuring of teeth and extractions can be performed. These are the men and women who can save a tooth when it might otherwise be lost. Cosmetic Services – Want to improve your smile with a dental bonding or veneer? Your general dentist is the one to handle the job. General Health Concerns – There is a correlation between dental and whole body health that is gaining greater understanding with each passing year. Discussions of your overall health with your dentist is as important as having the same discussion with your physician. You never know when one issue may be indicative of another lurking beneath the surface. General dentists have completed a complete undergraduate education and have gone on to complete their studies at an accredited school of dentistry. In addition to their basic education requirements they have fulfilled all the testing and continuing education requirements of the licensing board for the state they practice in. Whether their name is followed by a DMD or a DDS, their credentials are the same. Your general dentist is there to stand as a guard against poor dental health and gum disease and is the practitioner you should see every six months without fail.